If you find yourself faced with a short-term project, why utilize your employees for something they were originally not hired for or hire a temp service that may not be familiar with retail or inventory projects? Consider PICS for these projects. Our employees are well-versed in the retail world, reliable, and well trained. In the long run you will find them to be cost effective. PICS can provide trained auditors to audit your out-going shipments at the warehouse or transit facility. Detailed results of the audits can be saved and accuracy percentages reported down to the actual order picker level. PICS auditors can meet your warehouse truck at the store’s back door. Auditors can randomly audit pallets or the entire shipment. 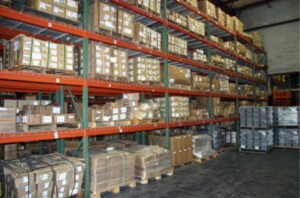 PICS can represent you at your vendor’s warehouse and audit their shipments to you. PICS can audit truck arrivals from your vendors at your warehouse or transit facility. These audits can help you establish a “certified vendor” program with your largest vendors. This program audits the accuracy of your vendor’s shipments and reports results on a regular basis. High accuracy rates of 99% and above may allow you to stop manually receiving every shipment, saving you labor hours. Your vendors will like it since you can pay their invoices quicker and with fewer disputes on what was received and what wasn’t. You will be able to pay whatever percentage of accuracy is measured. For instance, if their shipping accuracy is 99.52%, you pay 99.52% of the invoice! The same “vendor certification” program can be run at the store level for all DSD (Direct Store Deliveries). 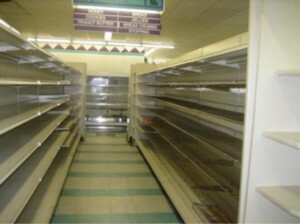 PICS auditors can meet vendor trucks at your store’s back door and conduct the required audits.